After he mercilessly skewered Hollywood's best and brightest as host of the 2011 Golden Globes, Ricky Gervais was the most hated man in Tinseltown. Well, not only is he rumored to be back in the mix to host the 2012 show, he is making Hollywood a bold offer: He'll stick around and host the Oscars, too. The Academy Awards, of course, are currently seeking a new host because original choice, Eddie Murphy, dropped out after his "Tower Heist" director Brett Ratner was pressured to resign after a series of inappropriate interviews and comments. 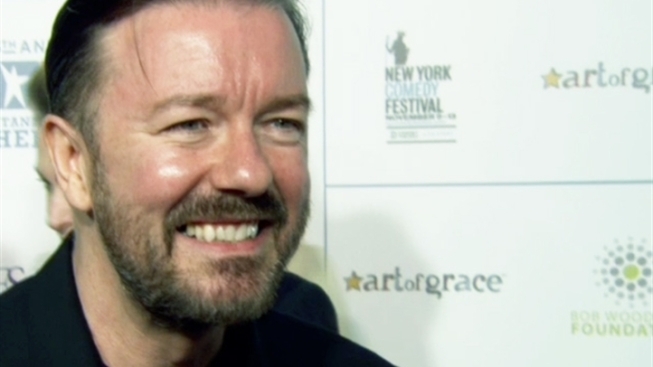 Gervais added that he'd give the producers "a two for one offer." It was announced today that producer Brian Grazer has come on board to replace the departed Ratner.